As we all know, camouflage has made a huge comeback! It's been splattered everywhere and I absolutely love it. Today, I incorporate the trend with my pants and my eyeglasses. 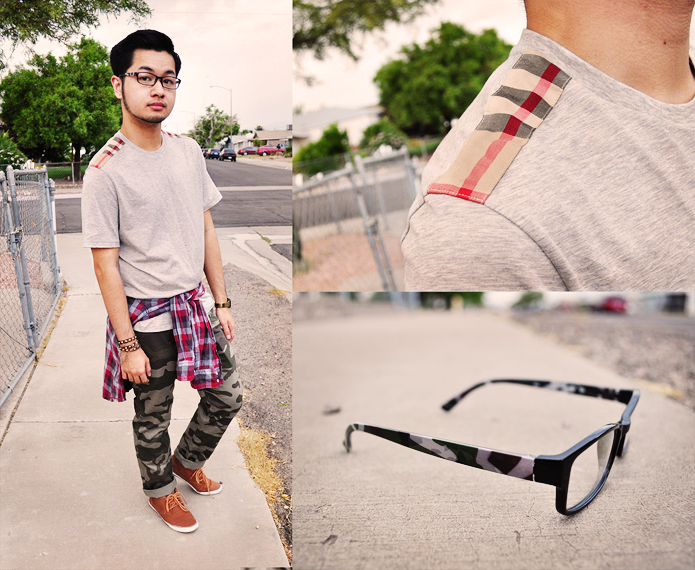 I've always been a fan of mixing prints; therefore, I took a plaid button up shirt and tied it around my waist. To keep the look casual and neutral, I wore a basic gray shirt with a pop of print on the shoulders. They are 3 different prints, but all three are able to coexist within one look.